Digby's Donuts - A Great Low-Fat Treat! 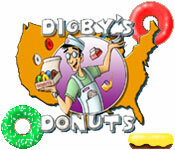 Download and play Digbys Donuts Game now ! 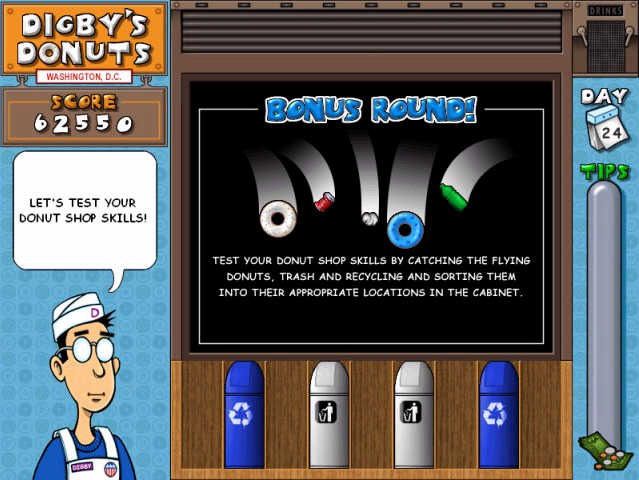 Digbys Donuts - Digby's Donuts Game: Join Digby as he opens a chain of donut shops in major cities across the country! Catch, stack and drop colorful donuts to form matches and combos while avoiding blunders. Unique bonus levels, original music and delicious donuts add to the fun! 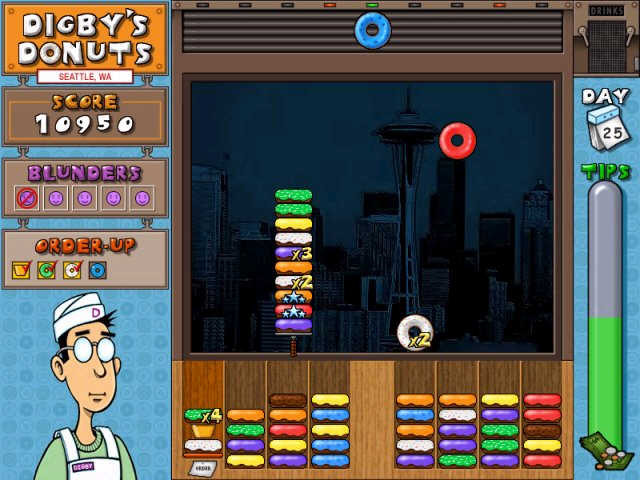 Digby's Donuts won the RealOne Arcade Game Developer Showdown in 2003! Arcade action fun with a colorful puzzle twist! Delicious donuts, drinks, orders, powerups and more! Mahjongg USA - A stunning Mahjongg Solitaire, Mahjongg Towers Game tribute to all that makes the USA what it is today !